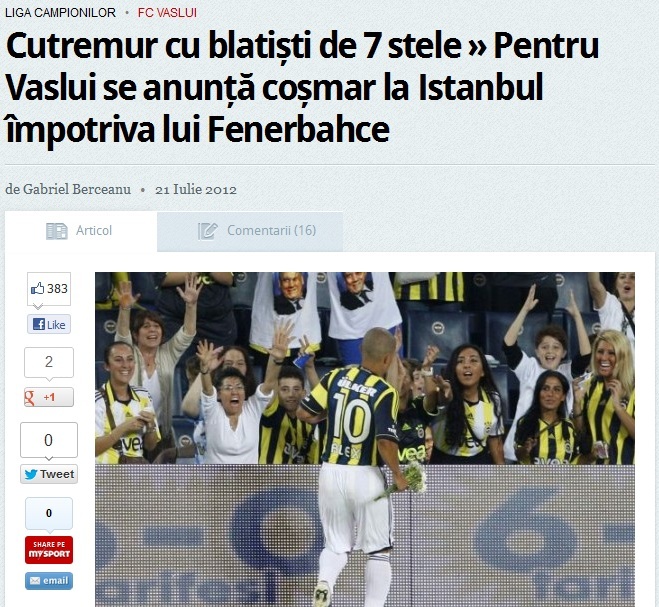 Today’s headlines: Dinamo hopes for Mircea Lucescu’s return. With some of Ahmetov’s millions! Without a win in 2013, CFR Cluj faces more problems ahead of the trip to Iasi. gsp.ro counts to 12 the number of missing players for the next round, with captain Cadu and Felice Piccolo both suspended, and goalkeeper Mario Felgueiras recently injured during a training session. The National Arena from Bucharest, the host of the much anticipated Steaua – Chelsea duel, needed again a cash injection to solve the problems with the quality of the pitch. Some 400 square meters of grass was replaced and the costs of the operation has been covered by the Bucharest club, although the venue belongs to the municipality. Team of Round 21 (presented by gsp.ro and based on data collected by a specialized firm) looks like this: Grahovac (Otelul) – Rapa (Steaua), Luchin (Dinamo), Manasse (Petrolul), Latovlevici (Steaua) – Voiculet (Pandurii), Pintilii (Steaua), Hoban (Petrolul), Chipciu (Steaua) – V. Dinu (U Cluj), Matulevicius (Pandurii). Claudiu Bumba is the only member of the U19 that plays abroad. With all the focus on Romania’s double against Turkey and Holland, there was little attention paid to the U19 national team that played three games in Scotland, against the home side, Switzerland and Armenia. But that’s not news, just like the information that the team just missed out on the tickets to the Elite round, which would have been the last stage before the final tournament of the European Championship. Romania started by earning what looked like a valuable point against Switzerland, Mihai Vodut‘s goal being cancelled by Endogan Adili just before the break. The game was followed by a 0-1 defeat against Scotland, who had won 4-0 their opening game against Armenia, the only change in the starting line-up seeing Alexandru Dan take the place of Iulian Rosu in a midfield line that had a more obvious defensive approach given the profile of the three players used. Still, the race wasn’t over, as Romania needed to win against Armenia in the final match and a Scotland success in the duel with Switzerland, who had won as well against the group’s weakest team. Unfortunately, although both conditions were met (the home side trailed twice, yet came back and pushed for a win that wasn’t even necessary at that point), Adrian Vasai’s boys won’t make the next step. Dinamo’s Darius Buia scored very late, in the 82nd minute, and Romania failed to add a second goal that would have seen it through to the Elite Round. It’s a bitter defeat for a decent team formed mainly with players from Steaua, Dinamo and Viitorul Constanta, who would have needed some more experience in its’ ranks. A look at the Swiss starting eleven, where several starters are already used on a regular basis at club level, in the top flight, is enough to see and explain the difference. A small one, if we look at the standings, a bigger one, if we dare to look at the bigger picture. Universitatea Cluj will abandon Cluj Arena and move to a stadium that’s 400 kilometers away! Once the Champions League draw ends, three European clubs and the huge number of football they can surely put together will try to find out more about Cluj, the city of Romanian champions, CFR. Well, if foreigners have every right to think of this club whenever they hear the city’s name – given the recent success and European exposure –, Romanians know that, first of all, this is the home of Universitatea. A club with an impressive history that managed to keep a strong bond with the majority of local fans, in spite of mediocre performances in recent years – something that couldn’t even come close to what CFR achieved in the past decade. Well, the patience and fidelity of the fans will be tested once again, as a period of torment started with the departure of club owner and major investor Florian Walter to Petrolul Ploiesti (alongside a dozen of the team’s best players from last season) will now reach its climax. The club’s new president, Ana Maria Prodan, who is none other than the wife of Steaua’s coach, Laurentiu Reghecampf – Romanian football, always surprising! -, made her move, after several threats of taking Universitatea away from its fans, unless financial support will come from the local authorities. Ana Maria Prodan, not very popular among U’s fans. An official statement says that until the end of the current season, U will play its home games in Buzau, some 400 km away from Cluj. 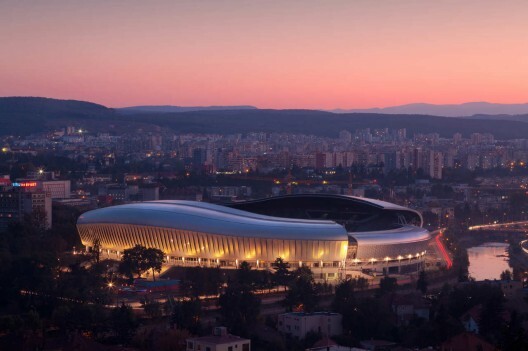 The team will abandon not only its home town, but also a brand new stadium, the impressive Cluj Arena (Elite category, 30.335 seats, re-built in 2011 and branded for Universitatea – this is the reason why CFR recently declined the chance to play there Champions League matches! ), to move to a venue that offered shelter to other clubs in dark periods of their history: Steaua Bucuresti, Petrolul Ploiesti and Otelul Galati. “Earthquake with world-class match fixers! 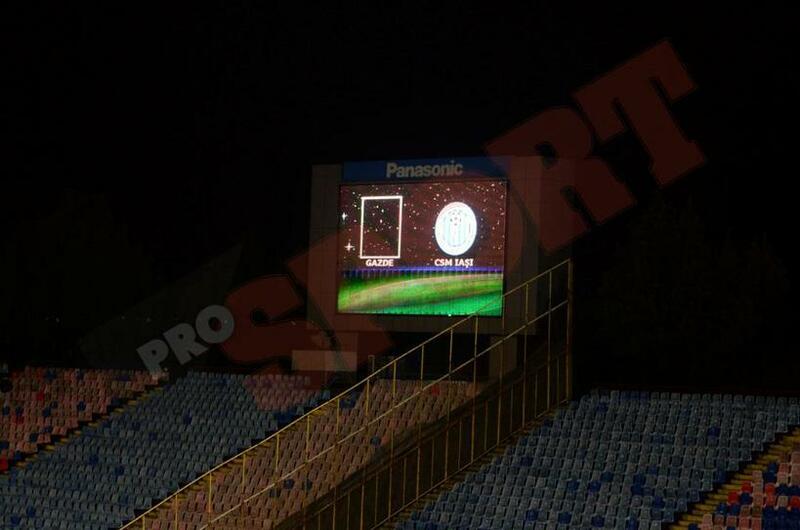 A nightmare expects FC Vaslui when they’ll play Fenerbahce” – This is the title that created a huge scandal in Turkey, after the article written by Gazeta Sporturilor was presented by the Istanbul media outlets. I cannot know what the Turkish press wrote, but I can guess that they’ve speculated a title that is bombastic as usual and, again as usual, has little to do with the article itself. “Rocked by a match fixing scandal in the previous season and with one title won in the last five seasons, Vaslui’s opponent compensates with the fantastic atmosphere on Sukru Sarioglu and the stars Kuyt, Topal and Alex. Fener was excluded last season from the Champions League by UEFA, but now enters the competition as runners-up in the Turkish league. The coach Aykut Kocaman rotated the team’s stars this summer: the loans of Ziegler and Yobo ended, Emre went to Atletico Madrid and Dia plays now in Qatar, but in Istanbul arrived the likes of Mehmet Topal, Dirk Kuyt and Kaldirim. The team’s spine is formed by players that are already established: the keeper Demirel, 55 caps for Turkey, the Brazilian captain Alex, the Senegalese Sow, brought from Lille for 8,8 mil. Euros, plus other three players with around 100 games for Fener each: Senturk, Topuz and Selcuk. Not to mention the Slovakian talent Stoch, who comes from Chelsea. At home, Fener is like an unleashed beast, with just one defeat in the last 32 official games and can impose a terrible pace to the game: under Kocaman, there’s an average of 2,1 goals scored per match. Statements from Marius Sumudica and Adrian Porumboiu follow, both praising Fenerbahce’s strength and support. Below, a presentation of what follows if Vaslui manages to go through or if the Romanian side will be eliminated. The article ends with some info on Fenerbahce, as follows: Kocaman is in charge since 2010, while Vaslui changed 3 coaches since then; the Kadikoy area from Istanbul has 700.000 people, 10 times more than the entire city of Vaslui; “The yellow and black hell” has been built in 1908 and improved in 1999; Fener won 18 titles, while Vaslui has spent only 7 years in the Romanian first division”.